DC movies are being released as fast as lightning (remind you of anyone?) to compete with Marvel’s jam-packed roster of superhero movies. 2016 saw the release of two DC movies within only a few months of each other. 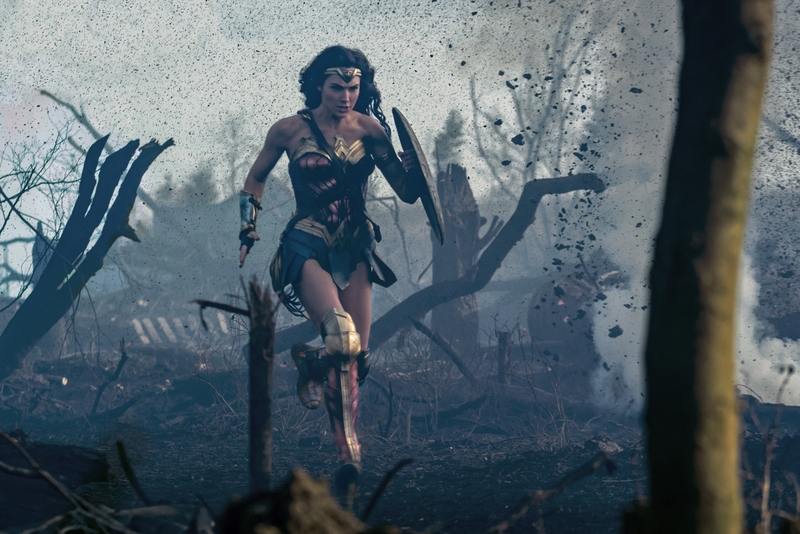 Warner Bros. released two DC movies in 2017, as well. Short on time? Download this blog post as .PDF. I recently created a Marvel movie timeline to help newbies get acquainted with the Marvel Cinematic Universe (MCU). 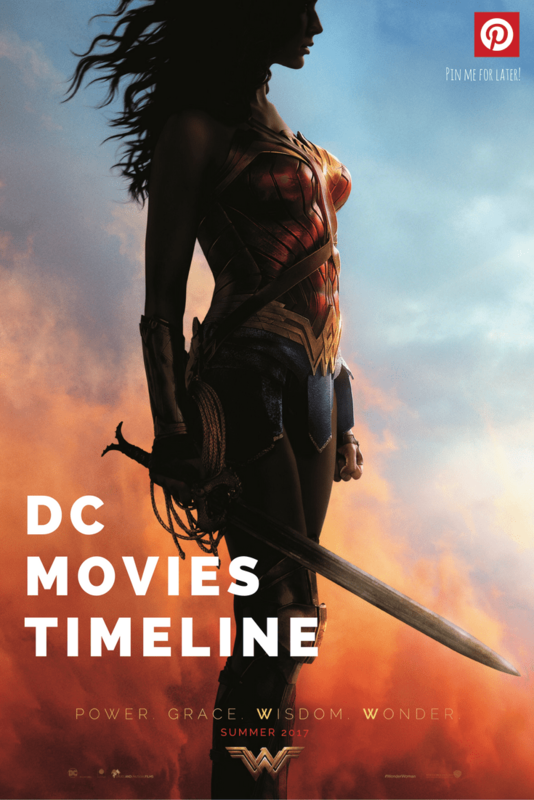 Here, I’m creating a similar DC movies timeline for the DCEU (DC Extended Universe). I’ll cover what movie is released when, which superheroes are starring in which movies, which ones you can skip, and which DC movies are must-see. Confused by the guide? Skip to the end for a primer on how to read Media Medusa’s guide to DC movies. Do I need to see any movies before this one? No. It’s the beginning of the timeline. Synopsis: Clark Kent, one of the last of an extinguished race disguised as an unremarkable human, is forced to reveal his identity when Earth is invaded by an army of survivors who threaten to bring the planet to the brink of destruction. Read our full review of Man of Steel. Do I need to see any movies before this one? No, but seeing Man of Steel before you see Batman v Superman will make some plot points clearer. You’ll still be able to catch on, if you skip Man of Steel, but it helps. Synopsis: Fearing that the actions of Superman are left unchecked, Batman takes on the Man of Steel, while the world wrestles with what kind of a hero it really needs. Read my full review on Batman v Superman: Dawn of Justice. Do I need to see any movies before this one? No. In fact, skip this one. Which superheroes are in it? More like super-villains. Deadshot, Harley Quinn, The Joker, Captain Boomerang, Killer Croc, Diablo, Enchantress. The Flash and Batman make brief appearances. Is there a mid- or post-credits scene? Yes. Middle of credits. Synopsis: A secret government agency recruits some of the most dangerous incarcerated super-villains to form a defensive task force. Their first mission: save the world from the apocalypse. Read our full review of Suicide Squad. Do I need to see any movies before this one? No, but it helps to see Batman v Superman first. Synopsis: Wonder Woman is an origin story. Before she was , she was Diana, princess of the Amazons, trained to be an unconquerable warrior. Raised on a sheltered island paradise, when an American pilot crashes on their shores and tells of a massive conflict raging in the outside world, Diana leaves her home, convinced she can stop the threat. Fighting alongside man in a war to end all wars, Diana will discover her full powers, and her true destiny. Read my full review of Wonder Woman. Do I need to see any movies before this one? Yes, Batman v Superman. It would help to also see Man of Steel and Wonder Woman, but you can get away with just seeing B v S.
Is there a mid- or post-credits scene? Yes, both. The mid-credits scene is a fangirl’s dream come true. The post-credits scene sets up future movies. Synopsis: Fueled by his restored faith in humanity and inspired by Superman’s selfless act, Bruce Wayne enlists the help of his newfound ally, Diana Prince, to face an even greater enemy. Together, Batman and Wonder Woman work quickly to find and recruit a team of metahumans to stand against this newly awakened threat. But despite the formation of this unprecedented league of heroes — Batman, Wonder Woman, Aquaman, Cyborg and The Flash — it may already be too late to save the planet from an assault of catastrophic proportions. Read my full review of Justice League. DC and Warner Bros. keep shifting the dates and titles for movie releases after Justice League. Here’s the latest DC movies timeline as of January 15, 2018. DC and Warner Bros. have announced that movies about these superheroes and villains are in the works. Some are just rumored to be in development. Nothing is certain about any of them. Frankly, I don’t think DC and Warner Bros. will be able to pull off the same kind of timeline as Marvel. This slate of movies is just too ambitious. Do I need to see… We let you know which Marvel movies to see before the one in question. You might not need to see any Marvel movies before some of them. Synopsis Some background information, a synopsis and a short review of each movie. Which movie is your favorite? Tell me in the comments!